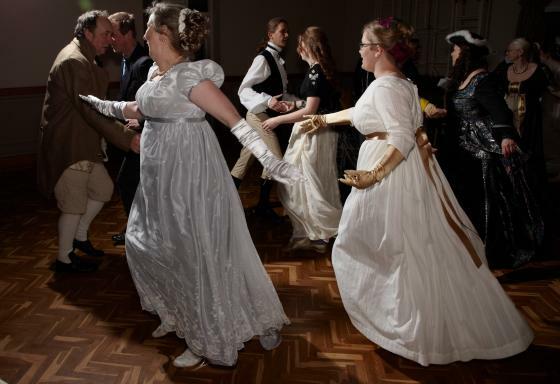 We recreates the dances of the 19th century. We have weekly class/practice sessions in Seagrave Leicestershire on Sundays 7-9pm £1 per session. Accompanied children welcomed We as very happy that our group encompasses a range of ages and abilities, we believe everyone should be able to enjoy dance at a level that suits the individual. We hold several balls a year and are very keen on costuming and period cookery we therefore try to make ourballs a fun experiance from many angles. Whilst we are serious about our research we like to have fun too. We are willing to do displays, and public or private functions. Our periods are Victorian, Regency and Georgian ie 18th and 18th centuries. Please see our entry for Dancing with Dary for Earlier Period dance.